I’m not exactly sure when I first met Dev Adams, AKA Miss Lupulin, as there very may well have been beer involved. Regardless, we gradually became friends over our shared passion for craft beer. Dev’s knowledge and tasting ability is truly amazing. She is the first person that I would turn to if I had any questions about beer. I later met Dev’s partner in life & beer, Josh Norton (whom Dev affectionately calls the Beerd Wrangler). 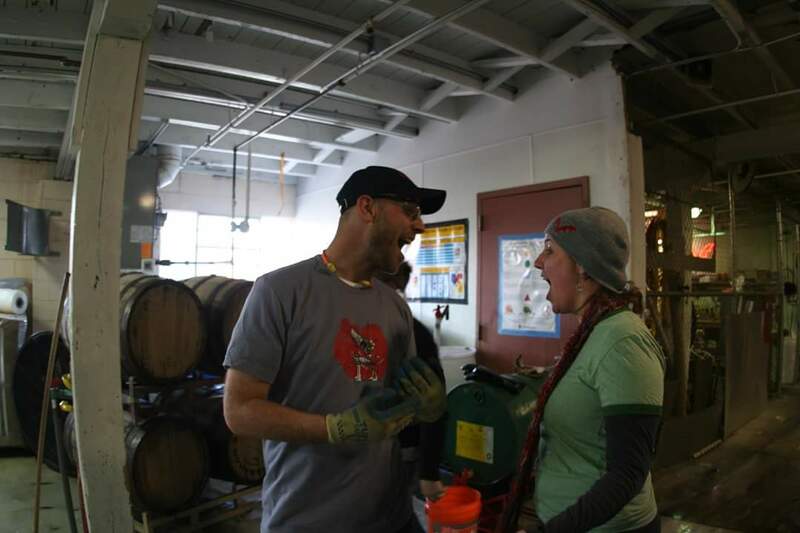 Simply put, Josh embodies the friendliness of the Colorado brewing industry. Dev: I am a Colorado native from Littleton, currently working full time for Colorado Parks and Wildlife as an Information Systems Manager and System Administrator. That pays the bills. In what I call my “real life” I am an Advanced Cicerone ® and Certified BJCP judge and consult and blog under the name Miss Lupulin. I also design craft beer-related jewelry called Beerings. Josh: I’m mostly from Colorado (I came here when I was seven) and have been a professional brewer for five years. 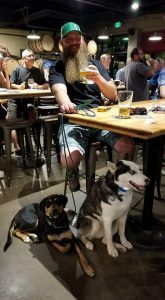 I am currently consulting for a brewery that will be opening in Frisco in the spring and looking for another permanent Brewing job. I just make the beer – Dev is the one who knows everything about it. Both: we met during GABF week in 2006 when we were both working for the Flying Dog Brewery on Blake Street. Dev was the tour guide and tasting room manager and Josh worked on the bottling line. In the intervening 11 years, we have visited 637 breweries together, including (obviously) all of the breweries in Colorado. 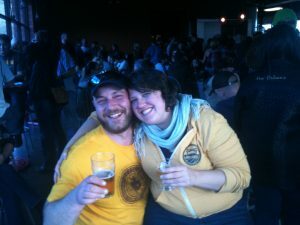 When and what was the first Colorado brewery that you remember visiting? Obviously, Flying Dog, September 26, 2006. Our second was Great Divide, when we took a couple of dollies worth of grain over to them when they were short. This industry has always been about camaraderie, which is what has fed our passion for it. 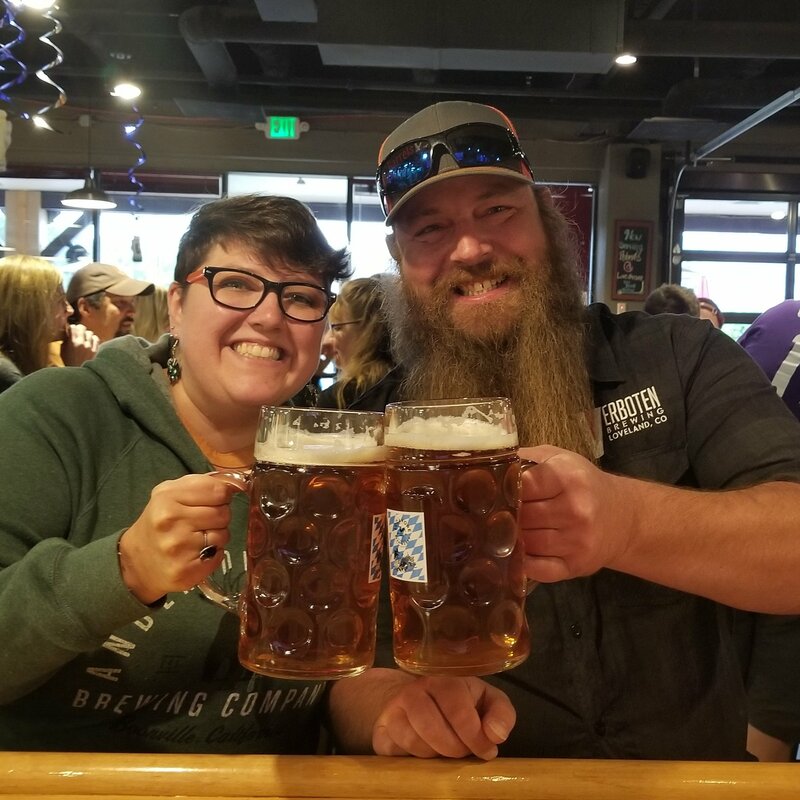 When and where did you accomplish the status of having visited every Colorado brewery? 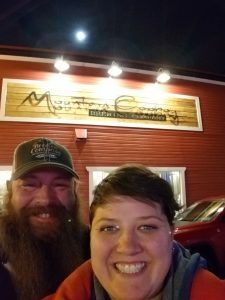 Our 2017 New Year’s resolution was to finally visit every brewery in Colorado. As luck would have it, we discovered that our final Colorado brewery would also be our 600th brewery, and we wanted to make it a special one, so we chose Mountain Cowboy in Frederick, which had just opened. Our 600th brewery was almost Coors, but we just couldn’t complete the quest and have our 600th brewery not be a craft brewery. We finished the quest on December 30th, just under the wire to hit my resolution. In 2017, we visited 142 new breweries, 72 of them in Colorado. What are some of your favorite memories of your quest? 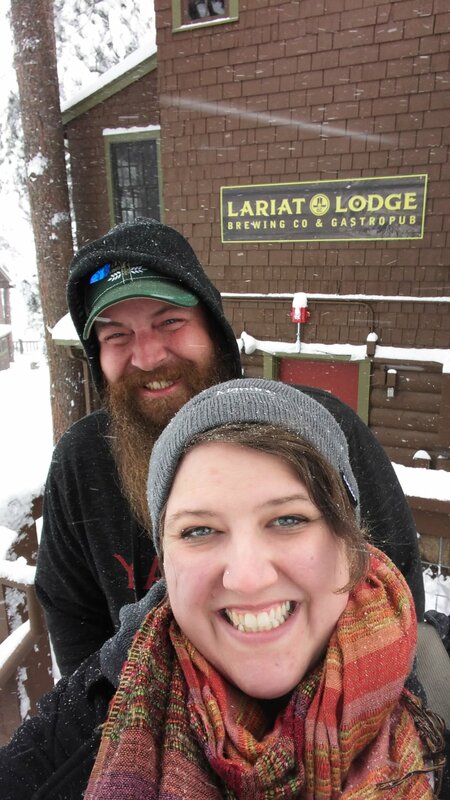 Josh: for my birthday in 2014, Dev surprised me by setting up private tours at the not-yet-open Casey Brewing & Blending and Roaring Fork Beer Co. It was awesome to meet the guys opening those places and get an early peek at what they were doing (and an early sip). 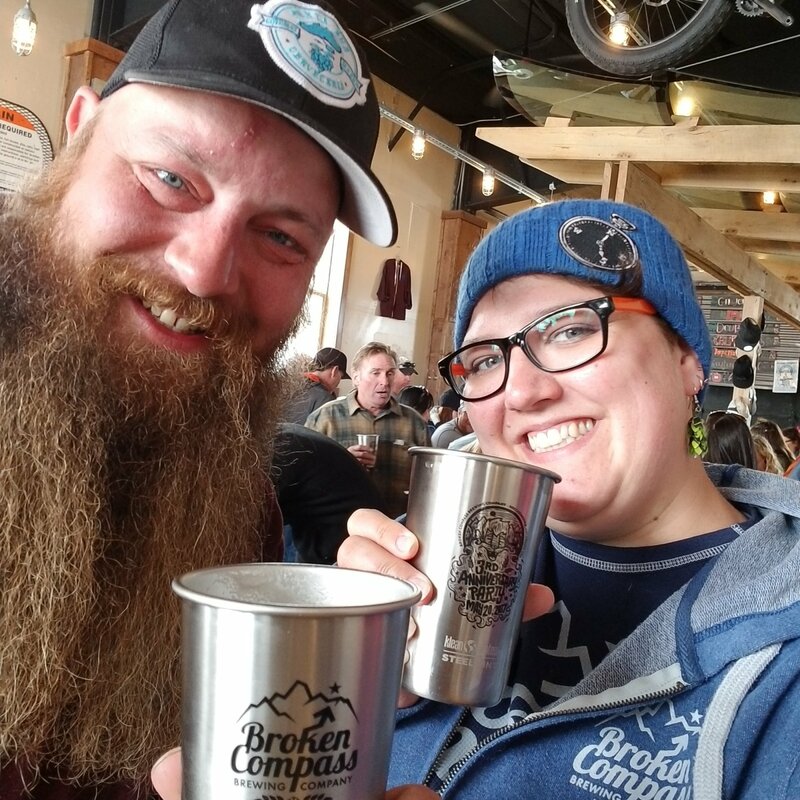 – The two breweries we hit on June 22nd 2014 – Broken Compass in Breckenridge and Chain Reaction in Denver – have become family. Just coincidental that we hit them both on the same day. – Camping out in our 4Runner as we traveled around Southwest Colorado visiting breweries for my birthday in 2016 and 2017Sometime along the way, I decided that we needed to take a selfie at every new brewery we visit, and I document those on my Instagram. It reminds me of all of the places we’ve been and the crazy, amazing people we have met along the way. Not to mention the incredible beers… so many incredible beers. What are your favorite styles of beer and your top breweries in the state of Colorado in terms of your beer taste? Dev: I drink just about everything, and my tastes change by the day, so it’s hard for me to pick a particular style I gravitate towards. However, I’m always looking for a great Biere de Garde, I love all of the different interpretations of saisons, I adore a great pale ale, in the fall I cannot get enough Marzen and Festbiers, I generally judge a brewery based on their simplest beer – kolsch, cream ale, blonde. I also love breweries doing wild fermentation… it’s such an art. What are you favorite tap rooms in terms of aesthetics and atmosphere? Josh: simple, beer focused taprooms are my favorites. I like to be able to see where the work is done. 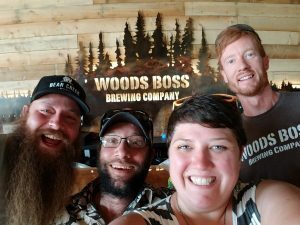 Woods Boss, Broken Compass, Locavore, GCB, Outer Range, Avalanche, Spangalang, Old Colorado, Bristol all have cool locations and unique taprooms. Woods Boss‘ cabin in the city. I also love the window into the cooler. What are some of your favorite destination breweries? Josh: Yampa Valley, Riff Raff, Broken Compass, Roaring Fork, and Paradox. Dev: in addition to Josh’s, all of which I agree heartily to, are Casey Brewing & Blending, Avalanche, Telluride, and Elevation. They are all worth the trek. We are always cruising around, hitting new breweries, but we definitely have some favorites. The one you’re most likely to spot us at is Locavore in Littleton. You’ll also be likely to find us floating by Dead Hippie, Chain Reaction, Baere, Woods Boss, and Spangalang. It’s also not rare to find us farther afield at Broken Compass, Paradox, Manitou, or Verboten on the weekends (and some weekdays). On the weekdays you can find Dev at Bruz, Brewery Rickoli, or Diebolt and Josh just about anywhere. What advice would you offer others trying to become a Colorado Brewery Master? Enjoy it! The point of the quest isn’t to stop at a brewery, shoot down a taster, and roll to the next one. Yeah, that means you’ve “been there”, but you haven’t really visited. Have some tasters, get a full pour, settle in, chat with staff. You can buy fantastic beer at any liquor store in Colorado; visiting breweries is about the experience. We live in an amazing state for craft beer, so take your time drinking it in. I am truly lucky to know Dev & Josh and it is a joy to see their smiling faces when we run into each other at a brewery or fest. I look forward to sharing many more beers together in the future.